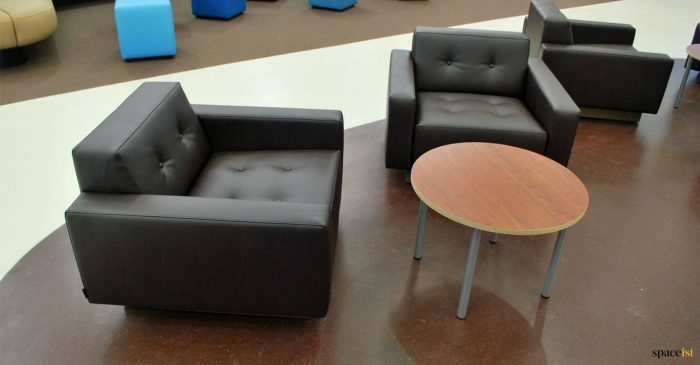 Category: School & Cafe Projects. 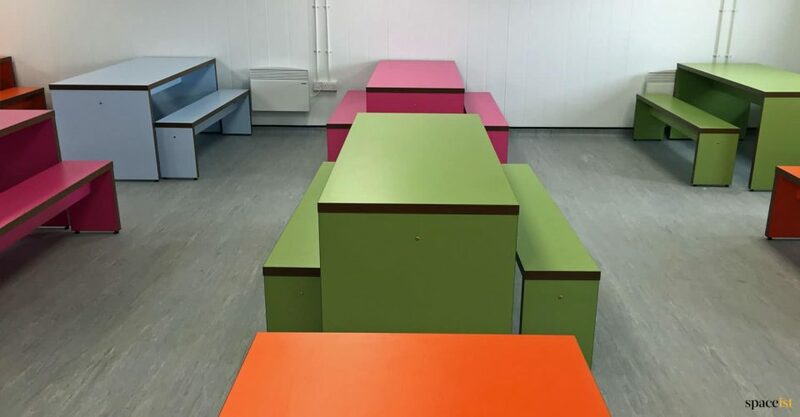 Colourful canteen tables and benches for a school canteen area. 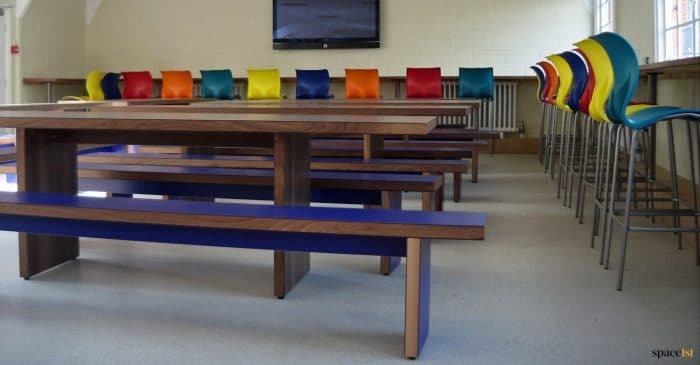 The benches are designed to seat 4-6 people depending on the age group and can be finished in over 60 different colours. 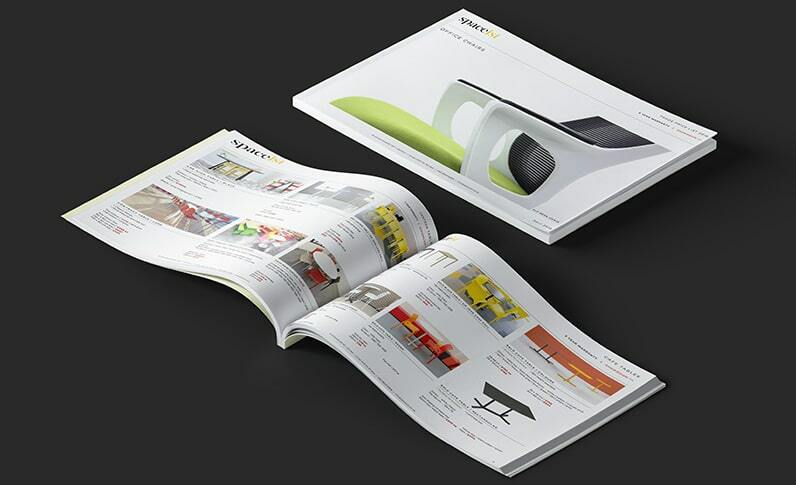 Bespoke sizes are available. 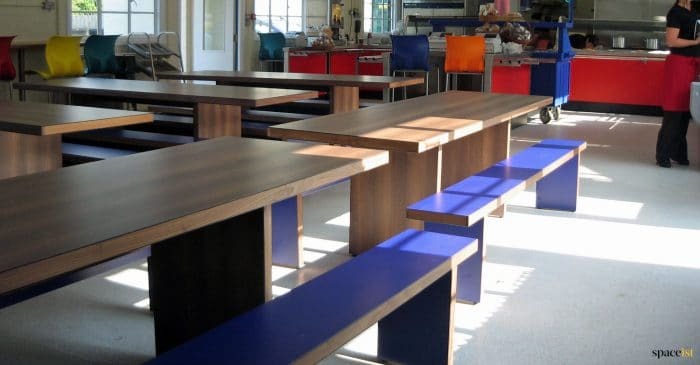 A recent canteen design project we worked on was with Tolworth School in Surrey. 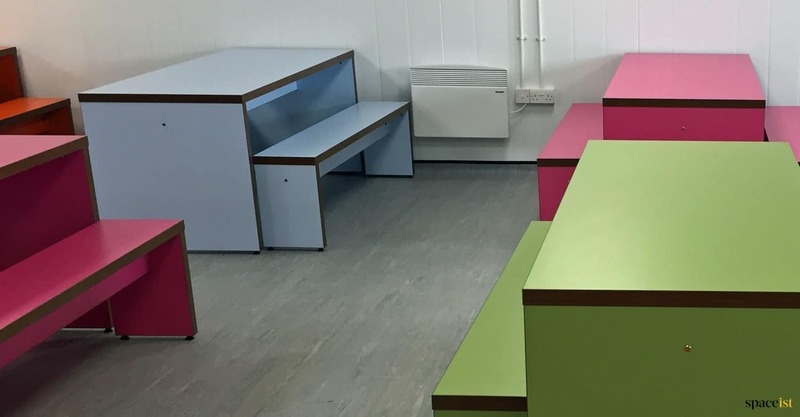 This secondary school was looking to refurbish their dining area for pupils and transform it into a distinctively modern space, where they would enjoy dining with their friends. 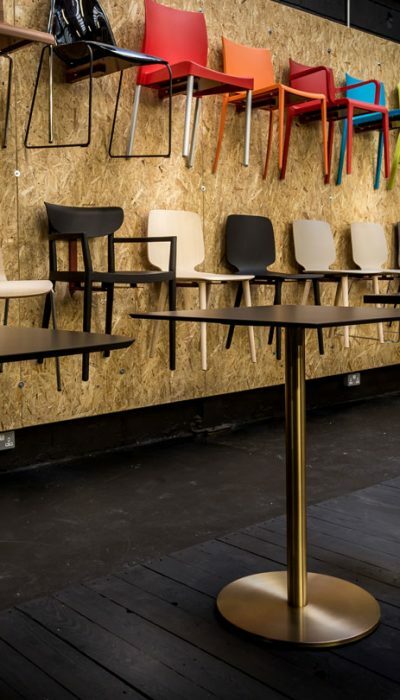 Fitting with the brief, we sourced attractive, functional and most importantly durable furniture, to meet their needs and requirements. 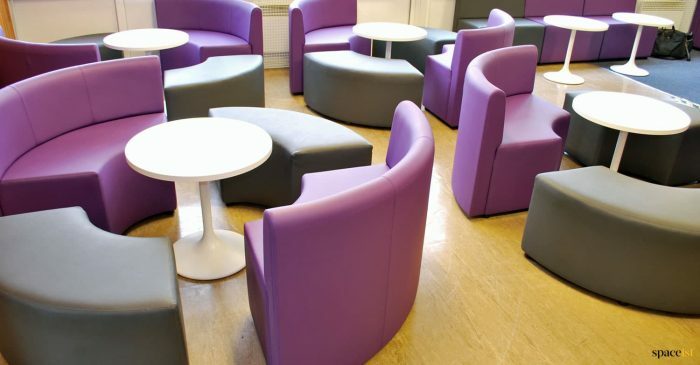 The team here at Spaceist were recently tasked with sourcing seating and tables to modernise and improve the usability of Hounslow Youth Centre. The detailed brief, which was created by the staff, volunteers and young visitors, required an increase in seating capacity, the creation of distinct zones and a dedicated media area and as usual, our team were more than up for the challenge! 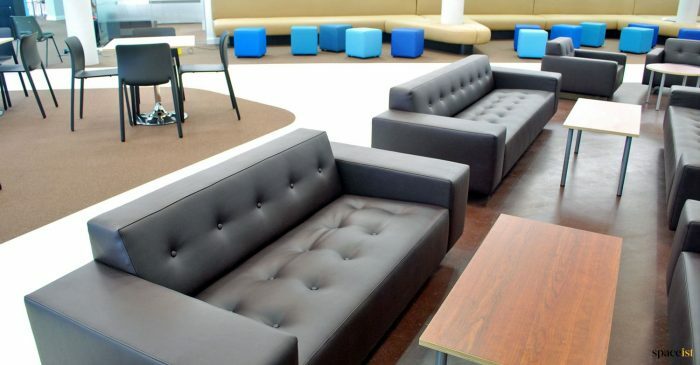 We recently worked with Kings College, an independent school in Wimbledon to source furniture suitable for their new sixth form centre, which was to be used by both pupils and staff. 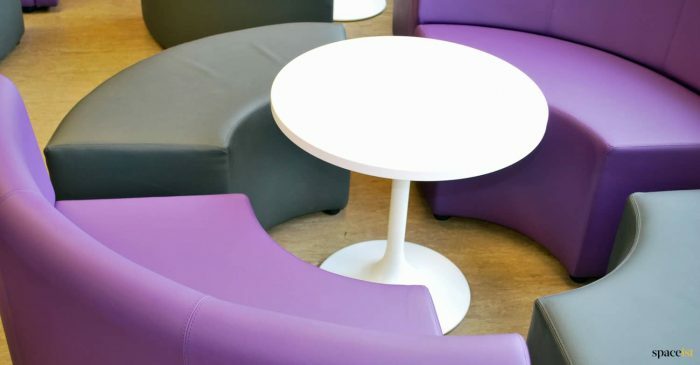 Our team of design experts put together a stylish, practical and budget-friendly furniture package to kit out the centre’s study area; cafe and lounge are and staff meeting rooms.